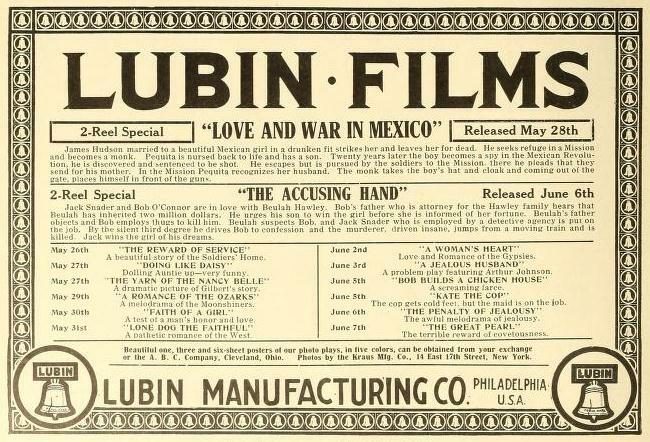 Archivo de la categoría: Lubin Manufacturing Co.
Esta cinta tuvo un publicidad exhaustiva con varios anuncios donde la Lubin Co. promovía sus películas. Pero vayamos en estricto orden cronológico. 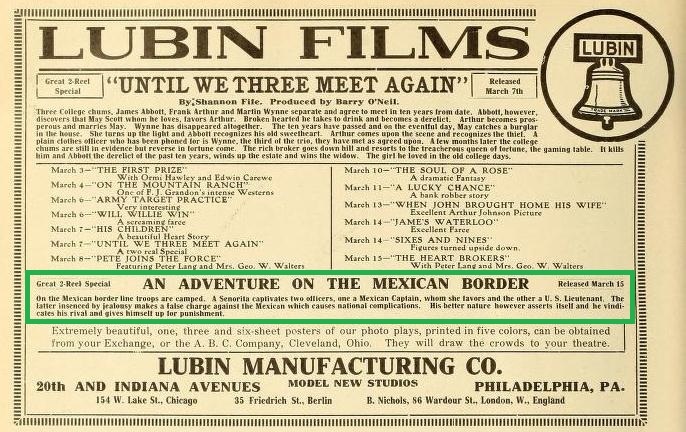 A two-reel story coming at an opportune time, is the Lubin release of March 15, entitled “An Adventure on the Mexican Border.” It was written, produced and acted in, by Romaine Fielding. 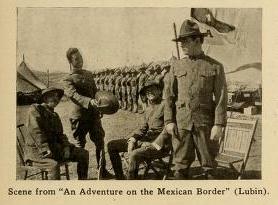 On the United States side of the line dividing Mexico from the United States, the United States soldiers are camped, with a view of protecting the international line and the citizens of the United States. Fifty yards on the other side, the Mexican soldiers are camped to do likewise for their country. 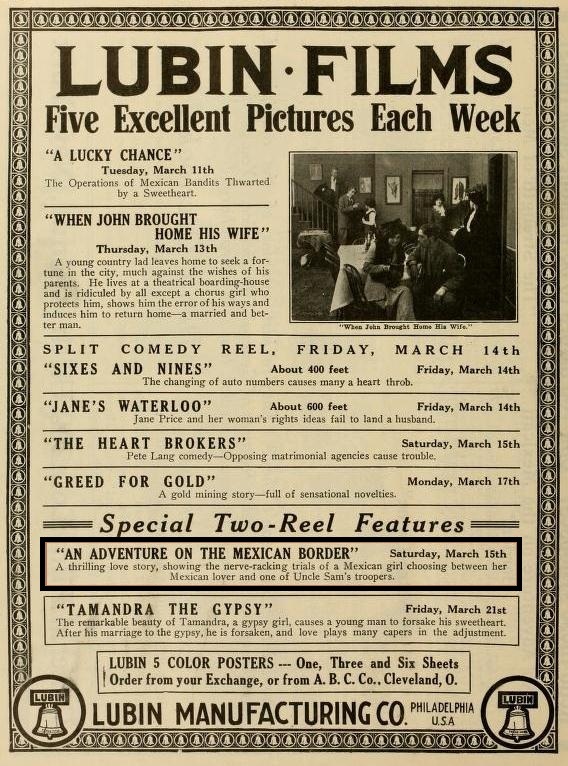 One of the bright-eyed señoritas of the southern race captivates two officers, one a captain of her own nationality, the other a lieutenant belonging to Uncle Sam. Both of these men, true and staunch in war and love, have a silent battle to gain the lady’s hand. The captain of the Mexican troops, being the older of the two, wins the maid by his quiet love and kindness. The irrepressible United States trooper tries to take the senorita’s heart by storm, but is repelled. On the spur of the moment, to punish his rival, the lieutenant tells a falsehood to his commanding officer, and nearly causes international complications; but after analyzing the situation, the lieutenant rises above all personal feelings and delivers the captain from jail, returns him to his fiancé across the line, and goes back to take his place and await his punishment. 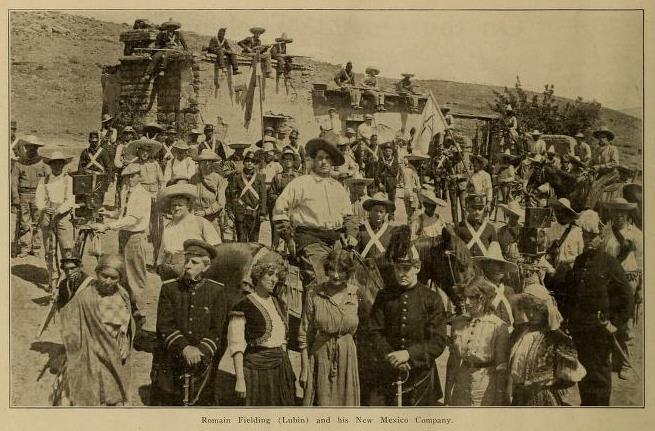 Romaine Fielding (a soldier of Mexico); Robyn Adair (A soldier of the United States); Mary E. Ryan (the señorita); Eleanor Mason (her friend); Richard Wangemann (her father); Lieutenant Rudd (Captain of U. S. troops); Moritz Cytror (U. S. private); Henry Alrich (Mexican lieutenant). An Adventure on the Mexican Border, (Mar. 15). — On the United States side of the line dividing Mexico from the United States, the U. S. soldiers camped, with a view to protecting the international line and the citizens of the United States. Fifty yards on the other side, the Mexican soldiers were camped to do likewise for their country. 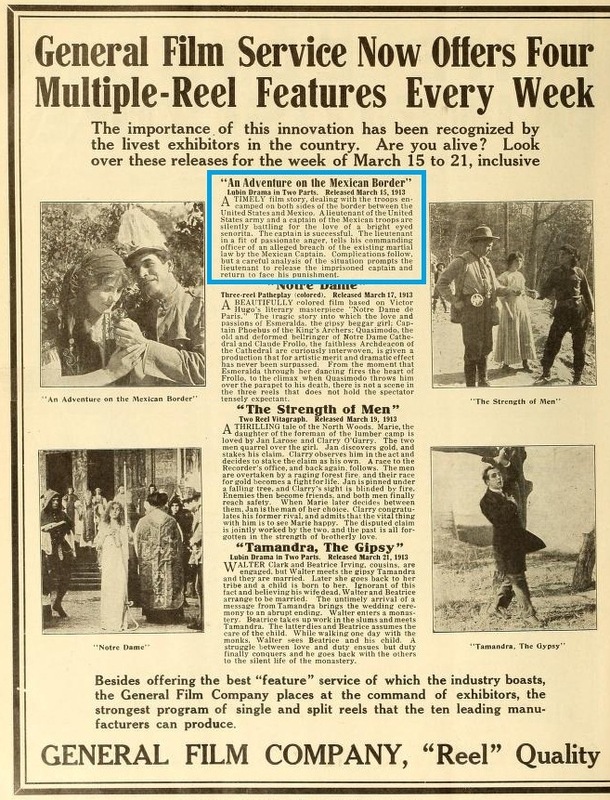 One of the bright-eyed senoritas of the southern race captivates two officers, one a captain of her own nationality, the other a lieutenant belonging to Uncle Sam. Both of these men, true and staunch in war and love, have a silent battle to gain the lady’s hand. The captain of the Mexican troops being the older of the two wins the maid by his quiet love and kindness. The irrepressible, impassionate United States trooper, tries to take the senorita’s heart by storm, but is repelled. 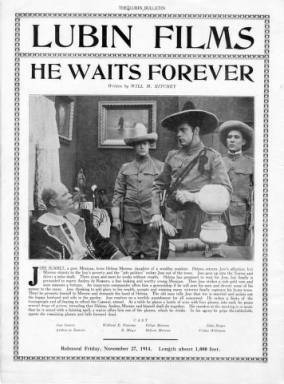 On the spur of the moment, to punish his rival, the United States lieutenant tells a falsehood to his commanding officer, and nearly causes international complications, but after coolly analyzing the situation, the lieutenant raises above all petty personal feelings and delivers the captain from jail, returns him to his fianceé across the line, and goes back to take his place and await his punishment. 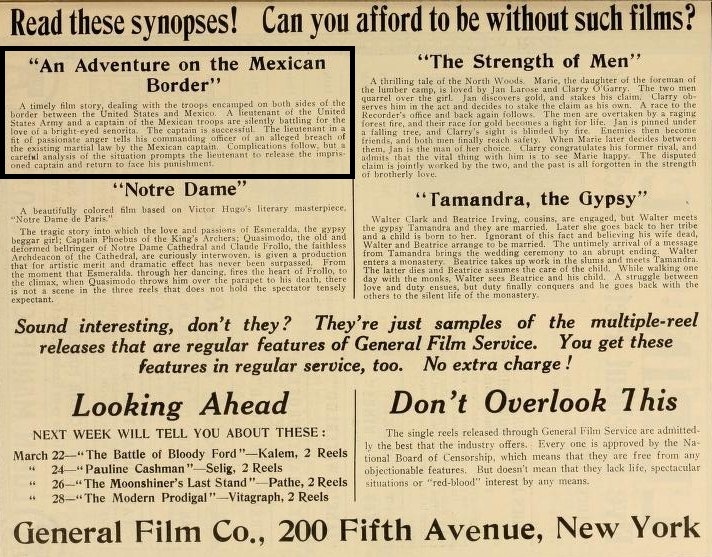 A timely film story, dealing with the troops encamped on both sides of the border between the United States and Mexico. 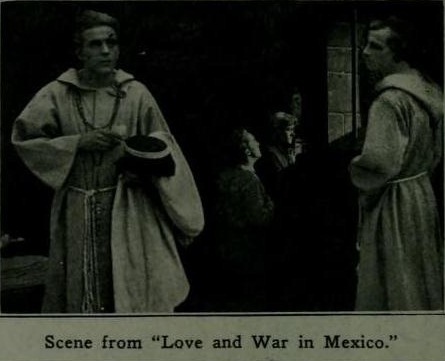 A lieutenant of the United States army and a captain of the Mexican troops are silently battling for the love of a bright eyed señorita. The captain is successful. The lieutenant in a fit of passionate anger, tells his commanding officer of an alleged breach of the existing martial law by the Mexican Captain. Complications follow, but a careful analysis of the situation prompts the lieutenant to release the imprisoned captain and return to face his punishment. 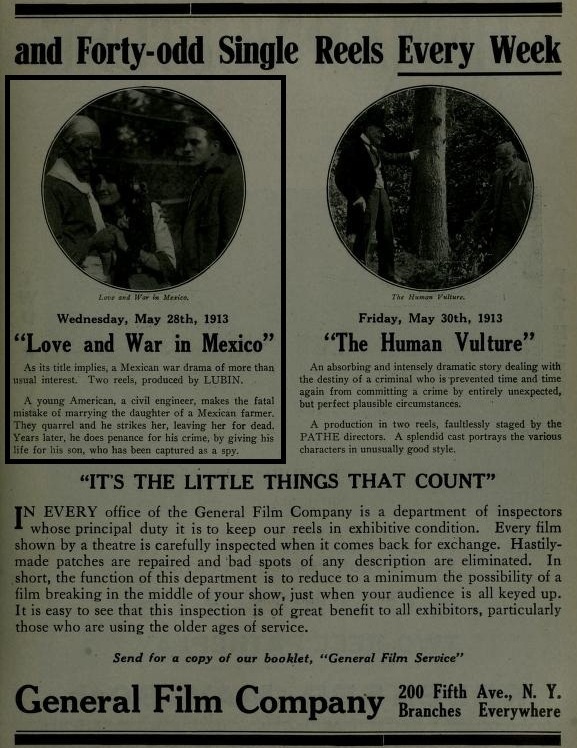 A timely film story, dealing with the troops encamped on both sides of the border between the United States and Mexico. 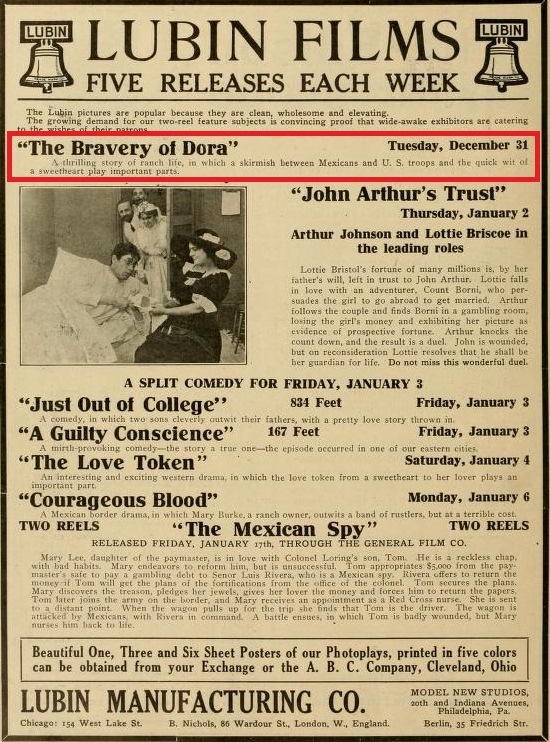 A lieutenant of the United States Army and a captain of the Mexican troops are silently battling for the love of a bright-eyed senorita. The captain is successful. The lieutenant in a fit of passionate anger tells his commanding officer of an alleged breach of the existing martial law by the Mexican captain. Complications follow, but a careful analysis of the situation prompts the lieutenant to release the imprisoned captain and return to face his punishment. AN ADVENTURE ON THE MEXICAN BORDER (Lubin). 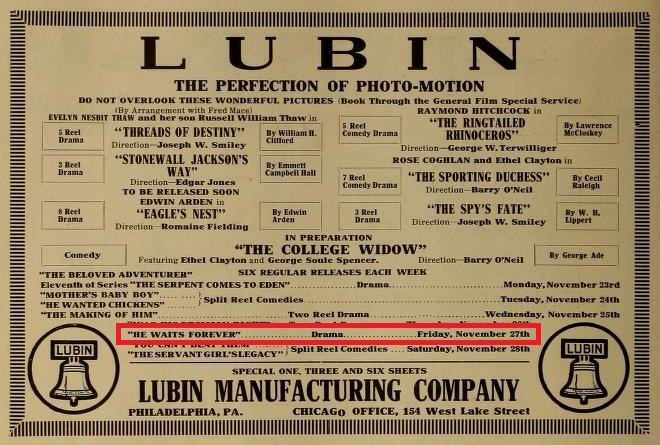 This is a two-reel special of the Lubin Company and a dramatic photoplay showing the heroism of the American soldier. 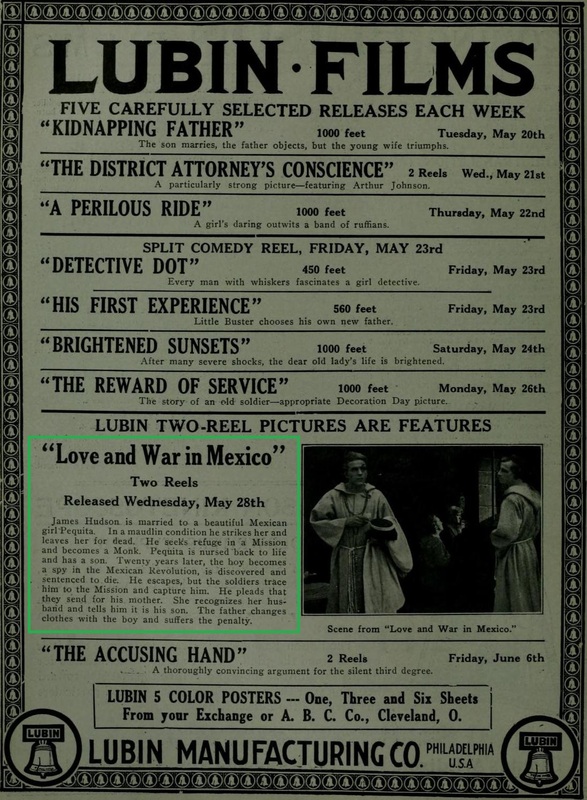 Love drives him to fault, but his manhood prevails and shows him to be “true blue.” It is a story of Romaine Fielding, who is directing the Lubin Company at Nogales, Arizona, and it is safe to say that this excellent actor is giving true atmosphere. 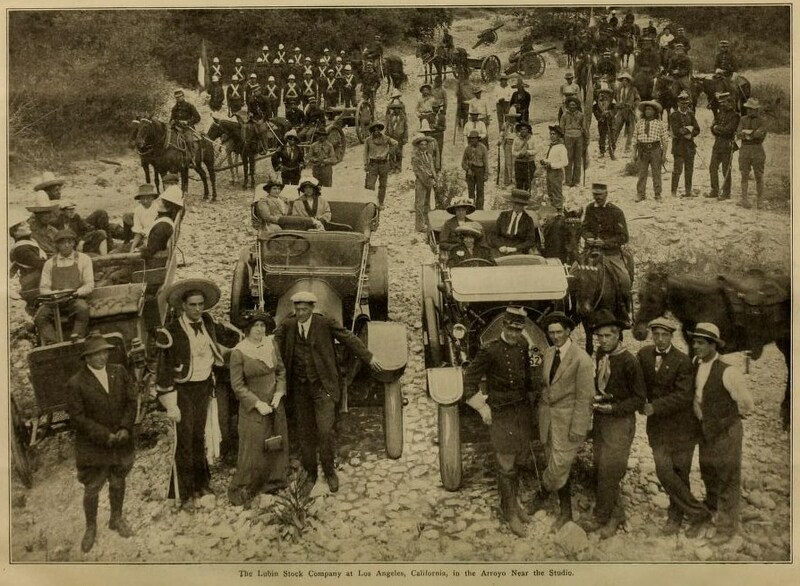 On the United States side of the line dividing Mexico from the United States the United States soldiers camped, with a view of protecting the international line and the citizens. Fifty yards on the other side are the Mexican soldiers. 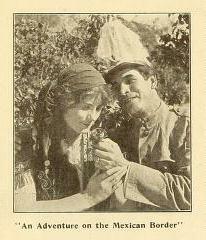 One of the bright-eyed senoritas of the southern race captivates two officers, one a captain of her own nationality, the other a lieutenant belonging to Uncle Sam. Both of these men have a silent battle to gain the girl’s hand. The captain of the Mexican troops, being the older of the two, wins the maid by his quiet love and kindness. The irrepressible trooper tries to take the senorita’s heart by storm, but is repelled. On the spur of the moment, to punish his rival, the lieutenant tells a falsehood, but after coolly analyzing the situation the lieutenant raises above all petty personal feelings and delivers the captain from jail, returns him to his fianceé across the line, and goes back to take his place and await his punishment.